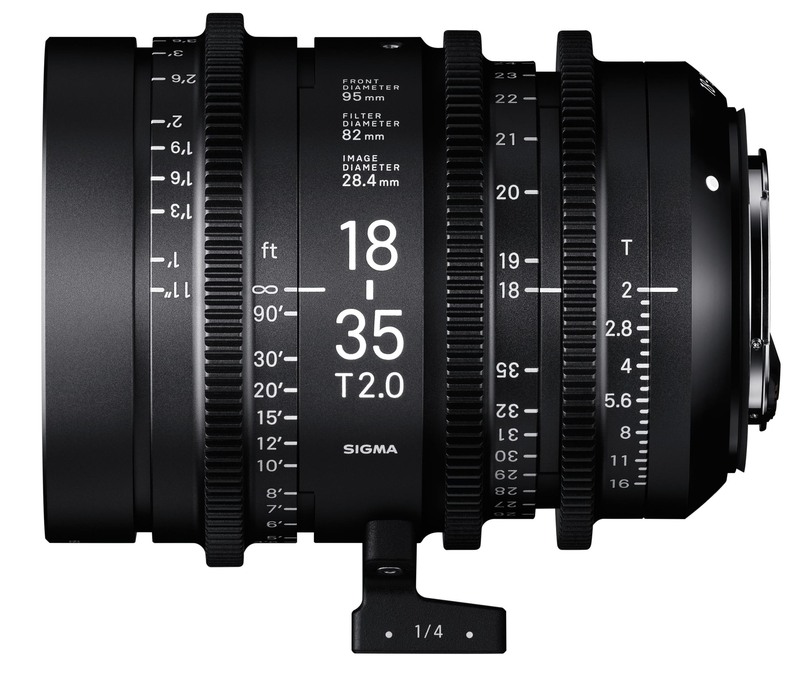 In typical Sigma form, the pricing and availability for two of their upcoming cinema lenses has been released, and it’s probably higher than you expected. The Cine High Speed Zoom 18-35mm T2 and 50-100mm T2 lenses will begin shipping on December 9, 2016 for a retail price of $3999.00 USD. Born from the new Sigma Cine family of products, the High Speed Zoom lenses leverage the outstanding optical design of the company’s world-renowned Global Vision still photography lenses. Combined with the 100% new mechanical lens body design, the Cine lenses meet needs of advanced 6k and 8k cinema production with the core optical quality DNA that has defined the Sigma benchmark of imaging excellence. The high speed zoom line, which is compatible with the Super35 image size standard, offers the constant aperture of T2 throughout the zoom range with superior optical performance that is capable of high-resolution 6K-8K shooting. Delivering the highest image quality in its class, the High Speed Zoom is ergonomically compact and designed for E, EF and PL camera system mounts. Pricing and availability for the remaining cinema lenses has yet to be released, but we’ll let you know as soon as we hear.